God isn’t in the business of bringing unlimited wealth, prosperity, and happiness to our earthly lives. 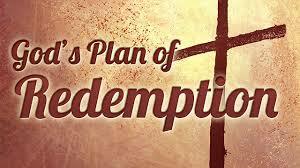 God’s in the business of transforming His children, whom He freed from sin’s shackles, into Christ’s likeness. The Lord doesn’t promise His followers a walk down “easy street.” He beckons us to shoulder our crosses along the narrow path. The Father’s pruning hand is an expression of His love, as He prepares us to pursue His purposes for our lives. What did the people listed in Hebrews 11 have in common with one another? What are some way the Lord can use suffering redemptively in our own lives. Biblical history is filled with examples of God-fearing servants who faced adversity. Noah faced a worldwide flood; Abraham faced an uprooting, a long wait, and an unthinkable command; Joseph faced betrayal, slavery, and false accusations; Ester face the threat of death; Job faced terrible loss; and Paul faced beatings, stoning, shipwrecks, and imprisonment. Yet they all remained faithful, trusting in God’s perfect will and timing. The Lord can redeem suffering for kingdom purposes. God does not enjoy the fact that we experience suffering here on earth. But, sometimes we need to experience some suffering to get to the place that God needs us to be at. In other words, we can’t fully become the person God has designed us to be without us having to experience valleys. It is during these tough times that we are forced to rely on God and seek His help. When we do that, God can fix us from the inside out. If we never come to Him, we will never experience those changes inside of us. The best part of it all is knowing that through God’s promise and the suffering that Jesus experienced on our behalf, when our pilgrimage as his followers through this troubled world ends, God will usher us into an eternal realm free from pain. There is no pain and suffering found in heaven and that is what all believers have to look forward to. What a glorious day that will be indeed. This entry was posted in Accountability, Attitude, Bible, Decisions, God, Hope, Inspirational, Opportunity, Reinventing Yourself, Salvation, Thoughts/Mindset and tagged 2 Corinthians 11:24-29, Abraham, believers, Bible, blessing, changes, earth, Ester, God, grace, hardship, heaven, Hebrews 11, Jesus, job, Joseph, kingdom, Lamentations 3:32-33, Lamentations 3:38, lives, Noah, pain, Paul, promis, redemption, suffering, trouble. Bookmark the permalink.